A YOUNG Frome musician will share the stage with acclaimed Grammy Award-winning percussionist, Lekan Babalola, this month at the Cheese & Grain. 13-year-old Frome singer Maya Sherriff-Prest will provide a short support set before Lekan performs with Sacred Funk Sextet in a new concert series tagged Yoruba Sonnets. Lekan heard Maya singing last summer and asked her to play support for the event. 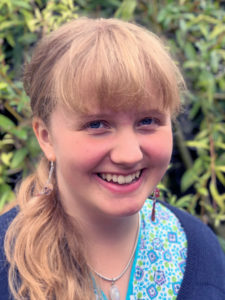 Maya says, “When I was younger I was in hospital frequently and my parents played me lots of CDs to pass the time, so I have developed a deep love of music and singing since I was very little. The gig also features Lekan’s kindred spirit, the accomplished spoken word poet and scholar, Dr Olu.Taiwo. Their artistic chemistry on stage will pick up from the successful Ebo Tour which held last year. Together, Lekan who is releasing a new album soon and Olu will bring to the stage the Yoruba Sonnets – a unique experience, presented by two very talented, very different individuals. The Yoruba Sonnets pair spoken word poetry and mime from Dr Olu Taiwo with live music from Lekan Babalola’s Sacred Funk Sextet. The result is a unique performance of ancient Nigerian verse incorporating Afro-beat music and the contemporary sound of Western Funk. Twice Grammy award-winning Nigerian percussionist, Lekan Babalola, is well known for his innovative musical style, using his native Yoruba tongue infused with traditional music, Afrobeat and funky dance overtones.